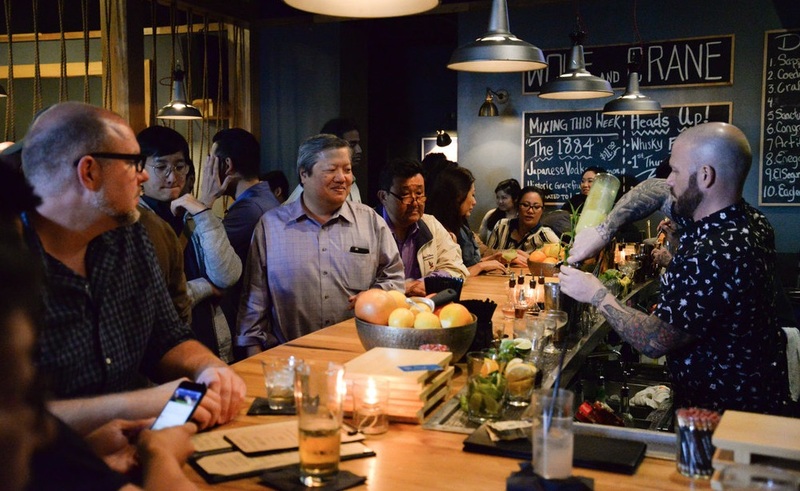 Sustainable Little Tokyo and Wolf & Crane present the fourth annual Historic Grapefruit Cocktail Night on Tuesday, April 2, from 5 to 7 p.m. at Wolf & Crane, 366 E. Second St. in Little Tokyo. Food provided by Mitsuru Sushi & Grill. Suggested donation: $5 to $10. A benefit for the Little Tokyo Community Council, which is celebrating its 20th anniversary. For more information, visit http://sustainablelittletokyo.org/grapefruit or http://littletokyola.org. This event is a pre-show tailgate to Tuesday Night Café’s 21st season opener, which takes place 7:30 to 10 p.m. at Union Center for the Arts, 120 Judge John Aiso St.
Now the longest currently running Asian American mic series in the country and one of the longest-running free public art series in Los Angeles, Tuesday Night Cafe highlights new work in visual and performing arts from the Los Angeles and Asian American artistic community in Little Tokyo. Hosted by Johneric Concordia. Beats by DJ Won. Featuring Grace Chikui, Jensen, Enny Owl & Jenevieve, Sri Panchalam, open mic and a special collaboration with Stephanie Sajor/Eddy M. Gana Jr. of Sunday Jump, Arianna Basco of Palms Up Academy, and traci akemi kato-kiriyama/Sean Miura of Tuesday Night Project. For more information, visit www.tuesdaynightproject.org.